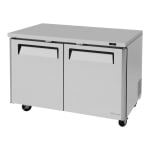 The Turbo Air MUR-48-N two-section undercounter refrigerator holds ingredients on two 27-inch-by-17-inch polyethylene-coated wire shelves. With their adjustable design, the shelves can be moved to accommodate different product heights. Staff can easily see the stored product with the interior LED lighting, and can access the cabinet with two ergonomically-designed doors. The doors have a self-closing feature, so cold air is kept inside the cabinet. Cold temperatures ranging from 33 to 38 degrees Fahrenheit are maintained with R290 hydrocarbon refrigerant. An exterior digital display lets users monitor the internal temperature. 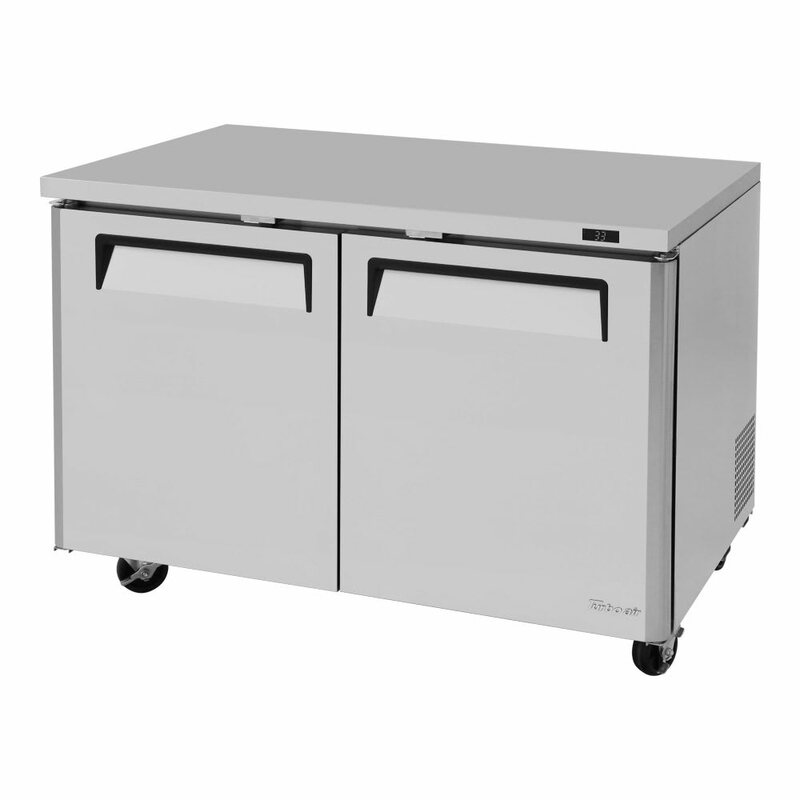 Since the refrigeration system in the Turbo Air MUR-48-N two-section undercounter refrigerator is self-contained, all the components are built together for easy installation and service. 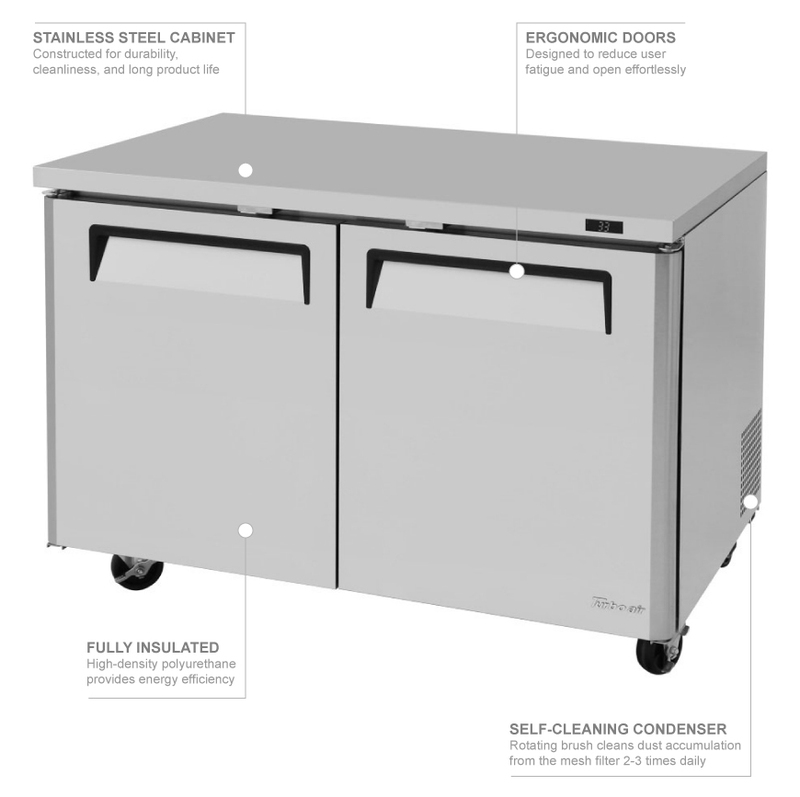 Its evaporator is coated to resist corrosion, and dust is removed from the condenser daily with a self-cleaning device, ensuring the unit functions properly.